There have been incidents of horses listed in various locations for sale as Marsh Tackies that are not full, registered, Marsh Tackies. Before buying a “Marsh Tacky,” ask for the horse’s registration papers. Registered Marsh Tackies will have registration papers with a raised seal issued by the Livestock Conservancy. “Half” Tackies are NOT registered and CANNOT be registered as Carolina Marsh Tackies. Only registered Carolina Marsh Tackies are listed for sale on the CMTA website. Contact us if you have any questions or concerns. Marsh Tacky breeders can be contacted from our Breeders Page. 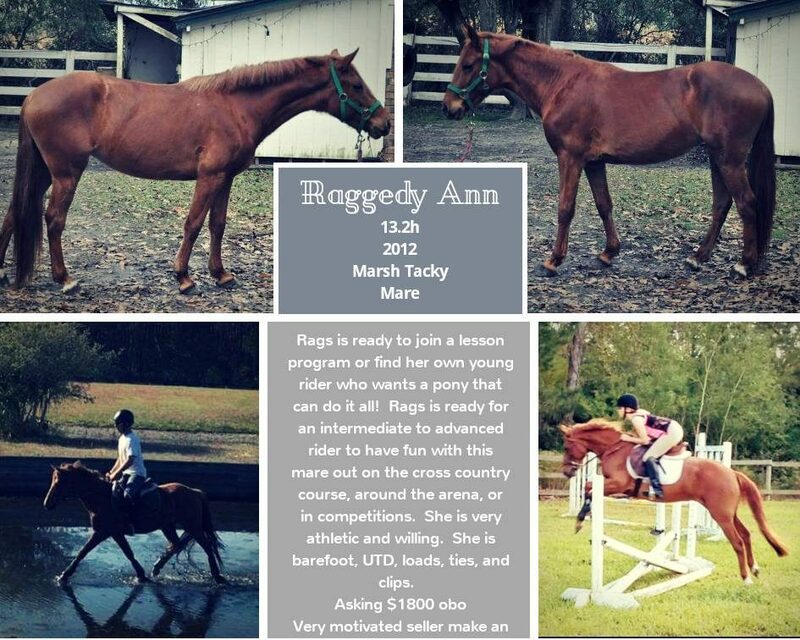 For more information on Raggedy Ann, contact Pluff Mud Farms via email at pluffmudfarm@gmail.com or via phone at 843-473-0346. Videos available upon request. 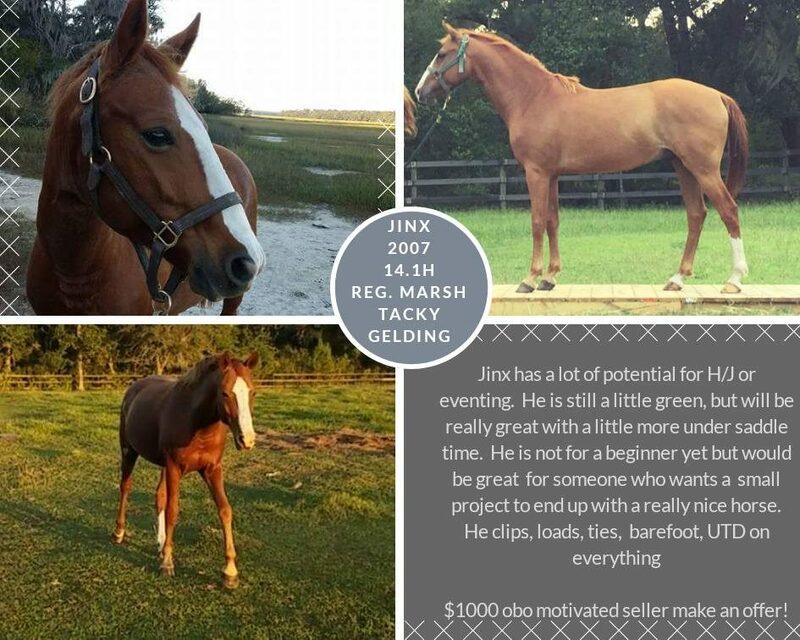 For more information on Jinx, contact contact Pluff Mud Farms at pluffmudfarm@gmail.com or via phone at 843-473-0346. Videos available upon request. CMTA is not liable for any information contained in the ads or any business conducted as a result of the ads.